Well, this is just the cutest thing ever. 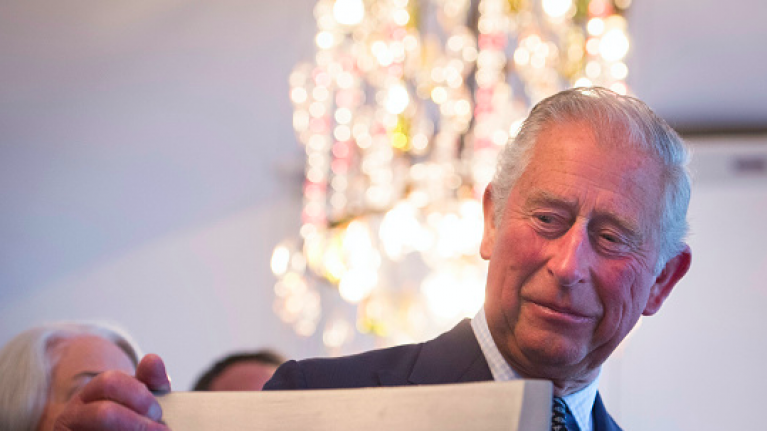 A new documentary to mark Prince Charles 70th birthday titled Prince, Son and Heir: Charles at 70, aired on BBC last night. The documentary, which takes a closer, more personal look at the first-in-line to the throne's life shared some very sweet moments last night, including rare footage of Prince Charles with his grandchildren, including 7-month-old, Prince Louis. In this image of Prince Charles with Prince Louis while in the garden of Clarence House, we can see a beaming Kate looking on at the interaction between the pair and it's all just too sweet. The BBC followed Prince Charles around for 12 months in order to shoot this documentary, which shows Prince Charles as more than just a royal figure. In the documentary, Prince William speaks about how great his father is with the kids and wishes they spent more time together. “I think he does have time for it, but I would like him to have more time with the children. “I think he’s… now he’s reached his 70th year it’s a perfect time to consolidate a little bit cause as most families would do, you are worried about having them around and making sure their health’s okay, and he’s the fittest man I know but equally I want him to be fit until he’s 95 you know going on," reveals the Duke of Cambridge. You can watch clips from the documentary here.